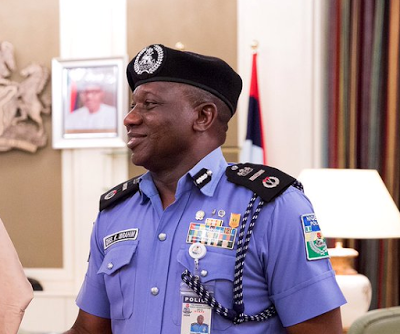 The Inspector-General of Police (IGP), Mr. Ibrahim Idris, has said that the Nigeria Police Force requires additional 155,000 personnel to adequately provide security for the country. Idris, who said this at a two-day National Security Summit in Abuja on Thursday, said to achieve this, the force needs to recruit 31,000 cadets annually for five years. The theme of the summit is: Forging Partnership for Effective Strategies to Curb the Menace of Kidnapping, Recurring Farmers-Herders Clashes and Criminality in Nigeria”. “To attain the UN ratio requirement of one police officer to 400 citizens of a country, the Nigeria Police Force needs to recruit 155,000 to police Nigerian population of approximately 182 million,“ he said. Idris said the police had not conducted recruitment into its rank and file cadre since 2011 until 2016 when the recruitment of 10,000 applicants was approved by the Federal Government. He said this development had left a huge gap in the manpower need of the force due to retirements, deaths and resignations. The police boss said the proposal had been forwarded to the Federal Government for consideration. He added that inadequate funding, shortfall in power and training and retraining of personnel had been some of the challenges confronting the force. “Over the years, the Nigeria Police Force saddled with the responsibility of policing the country, has been grappling with fundamental challenges which tend to impede its performance,” he said. The IGP said the issue of funding of police had been critical to all past police panels, adding that it had yet to be critically addressed. He said the Nigeria Police Force Reform Trust Fund bill before the National Assembly since 2008 had yet to be passed. Idris called on members of the National Assembly to expeditiously pass the bill to address the challenge of funding for the police. “We solicit the support and understanding of the National Assembly to give an accelerated hearing to this bill to adequately position the police for better funding and performance,” he said. He said the bill would further provide a legal framework that would outline the counterpart funding arrangement between the three tiers of government.